VW believes China will become the leading market for electromobility. It debuted the CROZZ electric crossover in Shanghai. SHANGHAI -- China's crackdown on vehicle pollution will turn the world's largest auto market into a hub for cutting-edge electric-car technologies previously exported from Europe and the U.S., industry executives at the Shanghai auto show said. Foreign automakers have long been building cars in China to meet surging demand in the world's most populous nation. But a raft of proposals to promote cleaner driving is now encouraging them to do more research in China, potentially turning the country into a world leader in a technology predicted to be a major force in the future of the industry. 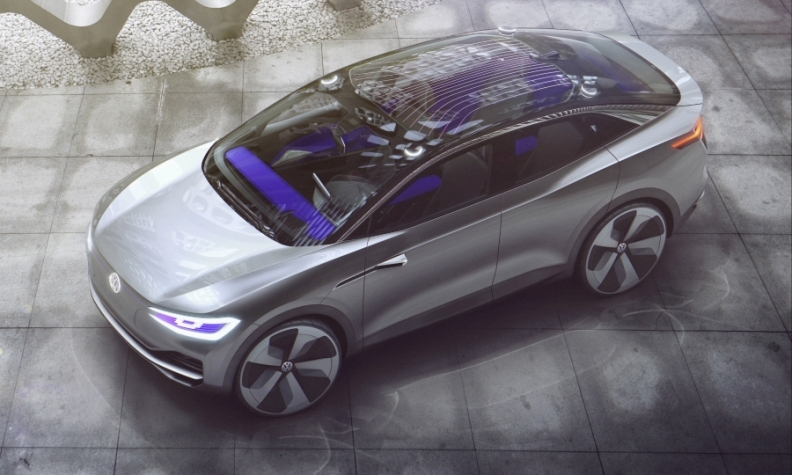 "We are convinced China will become the leading market for electromobility," Volkswagen brand chief Herbert Diess told Reuters on the sidelines of the auto show. For years, carmakers have struggled to gain economies of scale to bring down the cost of electric cars, which have failed to gain traction with consumers in part because of their price. But by floating proposals to require automakers to boost sales of so-called "new energy vehicles," or risk being penalized, Beijing has given a powerful incentive for them to focus the development of such vehicles in China. That could be a big fillip for the local economy - and a blow to other major car manufacturing nations such as the U.S., Germany and Japan. Analysts at UBS say the shift from combustion toward electric cars is a 100 billion euros ($107 billion) revenue opportunity for suppliers. "There is a clear (Chinese) government policy in favor of electromobility - high subsidies and an industrial framework in the form of joint venture companies which are being encouraged to invest in this technology," Diess said, adding Beijing appeared to be trying to replicate the success of hybrid car technology in Japan and diesel vehicles in Germany. According to management consulting firm McKinsey, 43 percent of the 870,000 electric cars produced in 2016 came from China. Germany and the U.S. accounted for 23 percent and 17 percent respectively. In order to defend its market position in China, VW will invest in locally developed EV technology, Diess said. "This is a challenge but also an opportunity because we will quickly gain large volumes and gain sufficient scale to make electromobility cost effective enough so that it will also be a success in Germany and the United States," he told Reuters. In the wake of its diesel-emissions scandal, VW is focusing much more on electric vehicles and software-based technologies - strategies also being pursued by its Chinese joint venture partners, which include SAIC and First Automotive Works (FAW). "Here in China the transformation is almost quicker. Our joint-venture partners, in particular SAIC, are even more committed to transformation. They are already thinking about next steps which go beyond things like software and semiconductors," Diess said, without elaborating. Daimler, which has trailed German peers BMW and Audi in terms of expanding its Chinese manufacturing capacity, is also preparing to make Mercedes-Benz electric cars in Beijing. "We are going to localize electric cars for Mercedes-Benz," Daimler's board member responsible for China, Hubertus Troska, said. "We're not concerned about technology transfer" to Chinese partners, he added, referring to fears that Chinese firms might eventually use technology gleaned from foreign partners against them. Mercedes has more than tripled the size of its Chinese research and development operations during the past two to three years, to 700 people. The Chinese team is capable of developing entire vehicles, rather than merely customizing designs originated in Europe, Daimler CEO Dieter Zetsche said, adding that how r&d would be divided between China and other Mercedes research centers remained to be seen. "We will decide how to divide up the tasks on a case-by-case basis, but of course this will include capacities to develop electric cars here in China," Zetsche said. GKN, a global engineering group based in England that supplies components for the BMW i8 plug-in hybrid supercar and Volvo's XC90 SUV, said on Wednesday China would become its global production hub for electrified drivelines starting in 2018 and production would be ramped up to an annual 1 million "eDrive" units by 2025. Through a Chinese JV company, SDS, GKN will start making an electric transmission for a domestic Chinese automaker in 2018 and then deliver an electric motor, inverter, axle and gearbox for a European firm's small car platform a year later. GKN declined to name the European client, but said the manufacturer would sell Chinese-made electric motors worldwide, and further supply agreements with domestic and international car manufacturers had been signed. GKN Driveline CEO Phil Swash said four global carmakers had agreed to buy GKN's electric motors, and that these motors would be rolled out in China first. "Whereas in the past we imported technology from outside China, for eDrive, China is now taking the lead. The first launch deployment of the newest technology will be here. That is the first time that has happened in our 30-year history," Swash told Reuters in an interview.